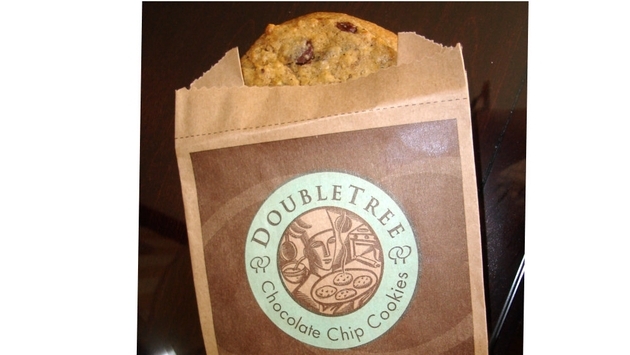 In the hospitality industry, there are few hotel companies that have a better-known brand promise than DoubleTree by Hilton, which offers a free, warm chocolate chip cookie to every guest upon check-in. If you’ve never had the pleasure, the two-ounce cookies feature a whopping average of 20 chocolate chips each and are served warm from the oven. While you can wait to enjoy the treat, the fact that it’s served warm makes a pretty compelling case to eat it before you even hit the elevator. If you can’t decide which way to go, most DoubleTree properties tend to be generous in their cookie distribution policies. While the brand promises one cookie per guest per stay, the front desk staff can usually be sweet-talked into parting with an extra cookie or two. So popular are the cookies that DoubleTree gives away more than 77,000 cookies per day, globally. That translates to 28 million cookie greetings per year, or more than 300 million cookies since DoubleTree introduced the recipe in 1986. During the holidays season, however, acquiring one of the famed cookies becomes a little easier, during DoubleTree's annual “12 Days of Cookies” promotion. That’s right, the hotel company is offering complimentary cookies to guests and non-guests alike. The promotion started on December 13, which also happens to be National Cookie Day, and runs through December 24. For the total foodie, DoubleTree has even created a digital “Chocolate Chip Cookies and Drinks” pairings guide, which includes the recipes for seven cocktails, two mocktails, and suggestions for which beer and wine to pair with the cookie. So, feel free to eat your cookie as is, or upgrade it to a full culinary experience alongside a Spice Hanukkah-chata or Santa Baby Guinness. Or you can even take your cookie experience to the next level with DoubleTree’s “We Have Cookies” digital recipe guide, which was released earlier this year. Not able to drop by a DoubleTree property this holiday season? Fans can also enter to win two free nights at the DoubleTree property of their choice. Just post a photo of yourself or a friend in holiday attire on Instagram or Twitter with the hashtags #sweetwelcome and #contest. Two grand prize winners will win a DoubleTree getaway in 2018, while ten runners-up will earn themselves Holiday Cookie Tins filled with delicious cookies. 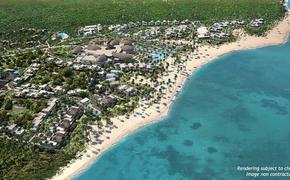 For more information visit, doubletree.com.